It is good that people are becoming internet savvy and using digital transactions for transfer of money. Figures depicted are just miniscule and we have to go a long way in this field to ward off black money transactions. 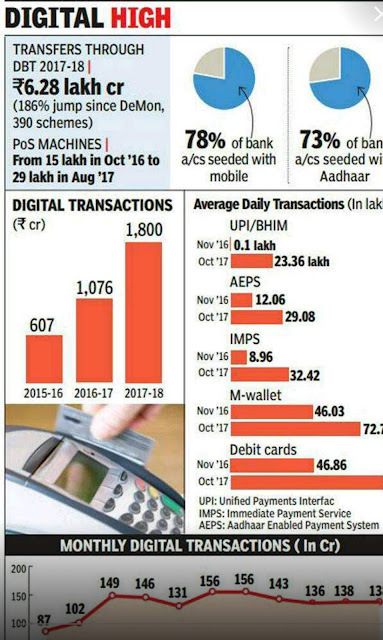 Have a look at below screenshot to understand state of digital Transactions in India for depicted period. God willing we will make everyone internet savvy and they will take to internet banking.